For years, state health officials in California sat on cell phone guidelines aimed at informing the public about the risks associated with cell phone use and the best practices for avoiding potential harm, fearing the information would cause panic. But on March 2, 2017 the California Department of Public Health (DPH) finally released the guidelines after a Sacramento Superior Court judge indicated that she would order them to be disclosed, and after The San Francisco Chronicle informed the state that it was publishing a news story about the case. The 2-page document, which is marked “Draft and Not for Public Release,” discusses the potential health risks posed by long-term cell phone use, including infertility and brain tumors. 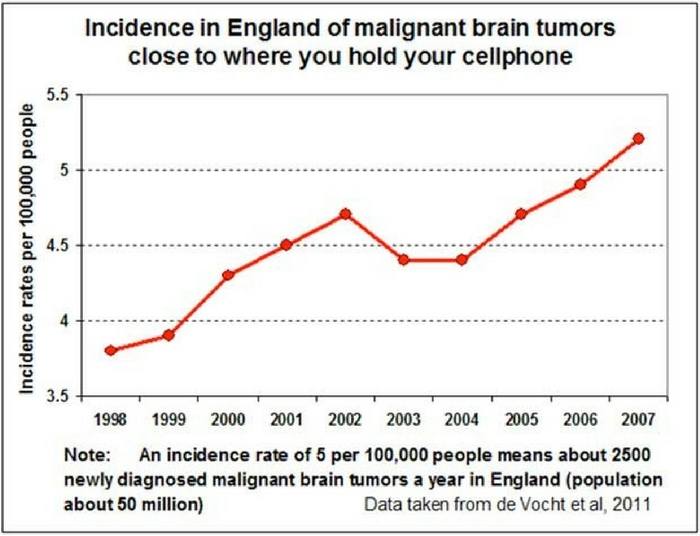 The document notes that people with certain kinds of brain cancer were found in studies to have used cell phones for 10 years or more. Cell phones produce stronger EMFs at the beginning of a call, when it is trying to connect to a cell tower, as well as when only 1 or 2 bars are showing. Cell phones emit stronger EMFs when used in a moving car, bus, or train, as the phone switches connections from 1 cell tower to another. 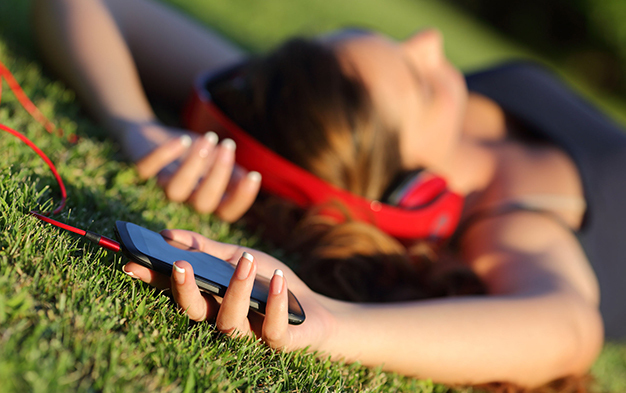 Some cell phones produce stronger EMFs than others. The California DPH writes that cell phone users can lower their risk of phone-related health problems by texting instead of calling, using the speaker phone, or wearing a headset to create distance between their cell phone and body, limiting cell phone use when their signal strength is weak. The document warns that EMFs can reach deeper into a child’s brain than an adult’s. This makes cell phone use particularly risky for children and teens, whose brains are still developing. Parents are urged to limit their child’s cell phone use to texting, important calls, and emergencies. However, children are using cell phones at a younger and younger age, and Moskowitz says he is happy that the guidelines made special mention of youngsters – even if state officials tried to quash the information initially.